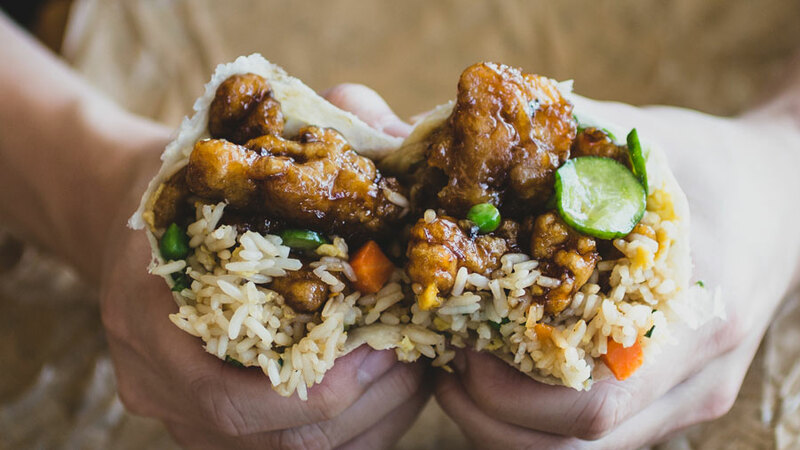 A while back, folks lost it when Panda Express released an Orange Chicken "Burrito" at their Innovation Kitchen in Pasadena, CA. The fast-casual Chinese food chain recently opened a new Panda Express + Tea Bar near our stomping grounds so we decided to swing by and grab some burritos for ourselves. 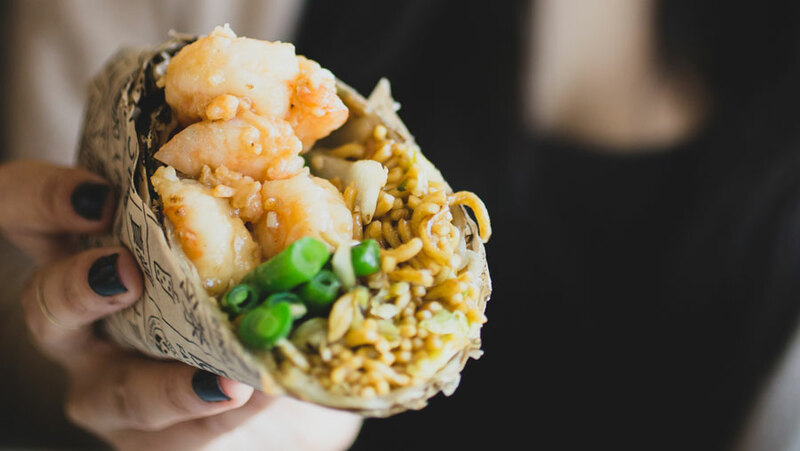 Though in actuality a "Chinese Bing" or wrap, the item effectively acts as a burrito with a thin scallion pancake acting as the tortilla. While essentially having the same core ingredients as a tortilla, there are some noticeable differences in the taste of the scallion pancake. Panda's new item didn't stop at Orange Chicken. The bing acted as a canvas for us to create the most intricate of burritos, combining a plethora of different meats, starches, and sauces in a hefty wrap. We even threw a double dose of the restaurant's new Five Flavor Shrimp into a bing. The Panda Express + Tea Bar, outside of the original Innovation Kitchen, is one of three restaurants that serve the "burrito" to patrons. You can't find the item at just any Panda Express. Trust us, we've tried. If burritos aren't your thing, the Panda Express + Tea Bar also serves customizable salads — an item that isn't offered at regular Panda Express locations. The Tea Bar portion of the restaurant lives up to it's actual name. 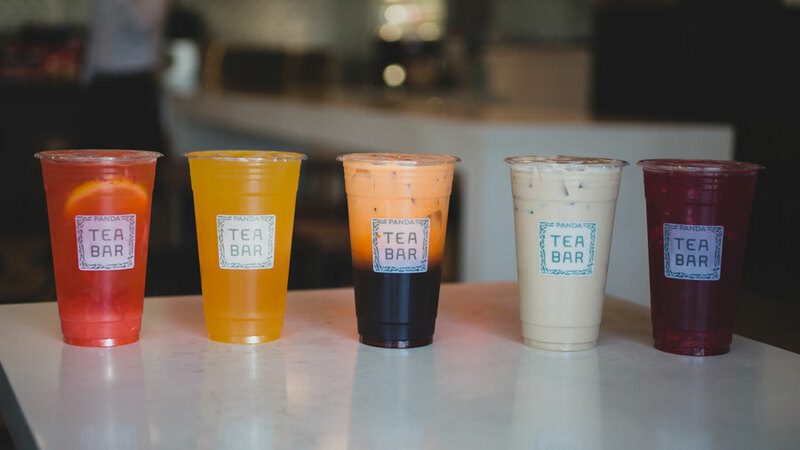 Customers can choose from a variety of different milk teas and fruit teas from the tea bar menu. Drinks are either pre-made for those who are in a hurry, or you can have a drink made to order. Beverages can be customized with add-ons like tapioca pearls, lychee jelly, aloe vera, and chia seeds. A word of caution for new patrons, however: make sure to take in the entire menu upon your first visit. Whatever you decide to order will fill you up for the rest of the day. 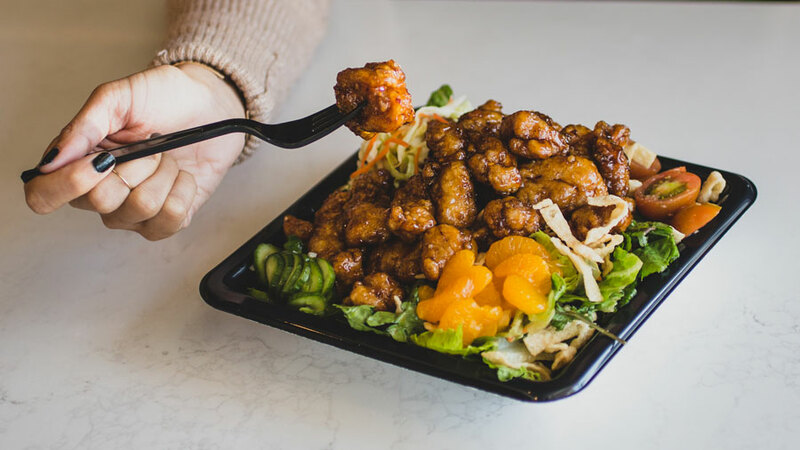 Items like the Orange Chicken "Burrito," salads, and milk teas can be found at Panda Express + Tea Bar locations (Hacienda Heights, Monterey Park, and Westwood) as well as the original Panda Express Innovation Kitchen located in Pasadena, CA. Also, be sure to check out our Foodbeast Podcast to hear more about the burrito!